These are the official Finn, Jake, Princess Bubblegum, Marceline and Ice King licensed characters, Finn, Jake, Princess Bubblegum, Marceline and Ice King. 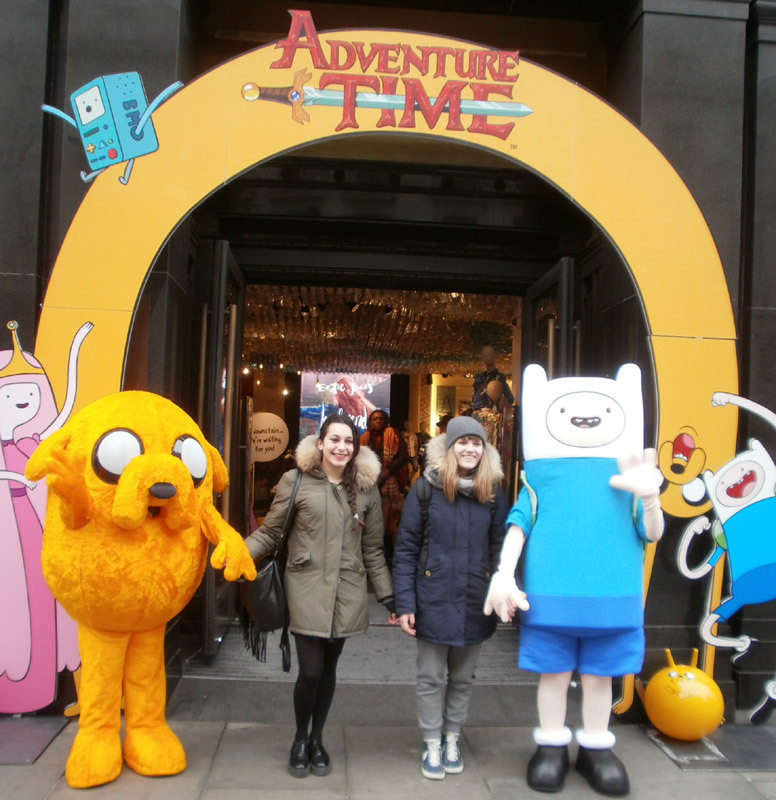 At Rainbow Productions, we make it easy to organise a public appearance from an official Adventure Time mascot. Our characters can be hired by the day or overnight depending on the location and requirements of the event. We will send characters with Adventure Time costumes along with a character “Minder” who will help to organise logistical elements on the day. Most importantly, our mascot actors are trained to stay in character as long as the costume is on, helping children to have the most authentic experience possible when meeting their cartoon favourites. 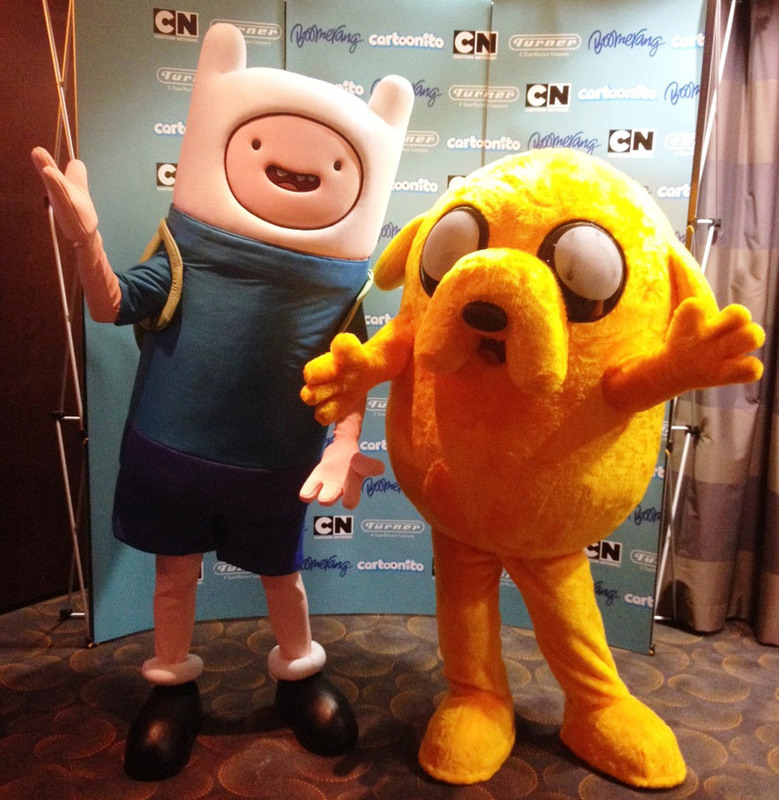 To find out more about hiring an Adventure Time mascot, click here to contact us and tell us about your requirements. One of our team members will be more than happy to help. Finn is a human boy intent on becoming a hero one day. He may not look tough, but when there is evil around, he will slay it. Finn also has a secret crush on Princess Bubblegum. Adventure Time sees Finn undertake many zany adventures with his best from and adopted brother Jake in the magical Land of Ooo. Jake is a dog with magical powers and a big heart, who can change shape and grow and shrink at will. Jake is wilfully party to Finn’s often zany ideas. Adventure Time is a modern day fable encouraging dark as well as light themes, whilst still being a kid focused brand. It has a growing cult following among teenagers and adults who are drawn Adventure Time by its imaginative stories and silly humour. Adventure Time uses slapstick, off-the-wall humour with a central theme of adventure running throughout. 2013 Primetime Emmy Award winner. Broadcast in 121 EMEA territories, in 18 different languages. Adventure Time Season 7 began airing in November 2015. Adventure Time has become something of a ratings phenomenon since it first premiered on the Cartoon Network in 2010. 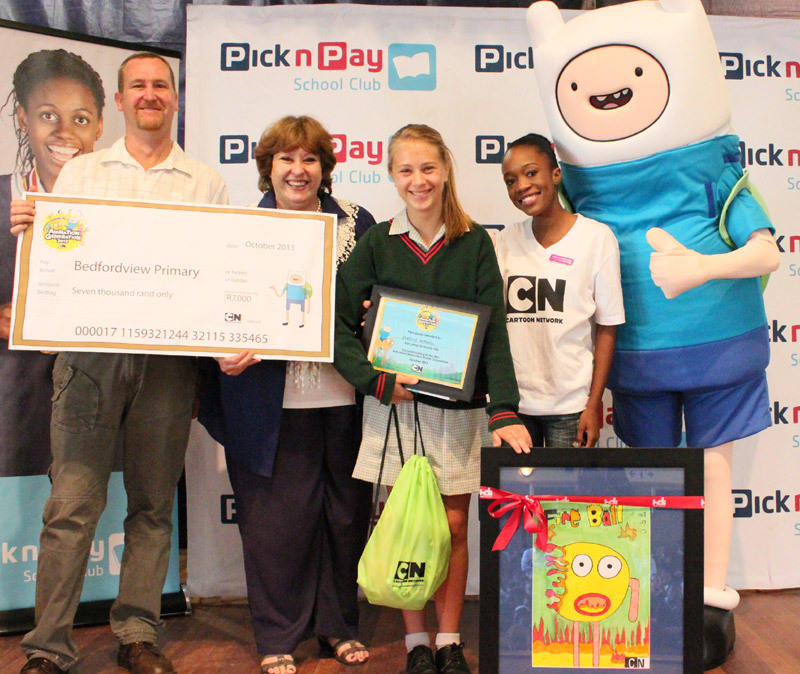 Certain episodes have garnered TV audiences of more than 3 million viewers, and while the show is primarily meant to be entertainment for children, Adventure Time has gone on to become a hit with families and critics alike. It has won numerous awards globally, and with a feature length film in development, Adventure Time costumes are becoming increasingly popular. These recognisable, fun-filled characters can inject plenty of energy and enjoyment into a number of different events. 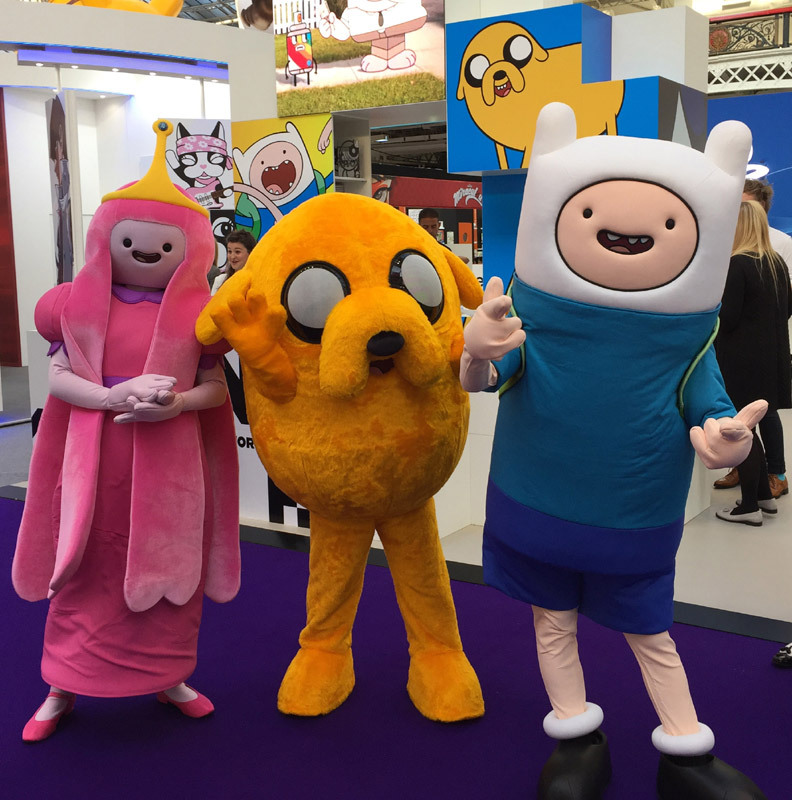 Whether you’re planning an event such as a fete or festival or simply want to hire Adventure Time characters to increase the visibility of a shopping centre or attraction, Rainbow Productions can help. We are licensed by the brand owners to arrange character appearances, so you can have total confidence in the professionalism and quality of the performers. Our trained team members will arrive at your event ready to change into Adventure Time costumes and to interact with fans both young and old. We can also provide assistance in the lead-up to their appearance with things such as publicity and promotional materials.